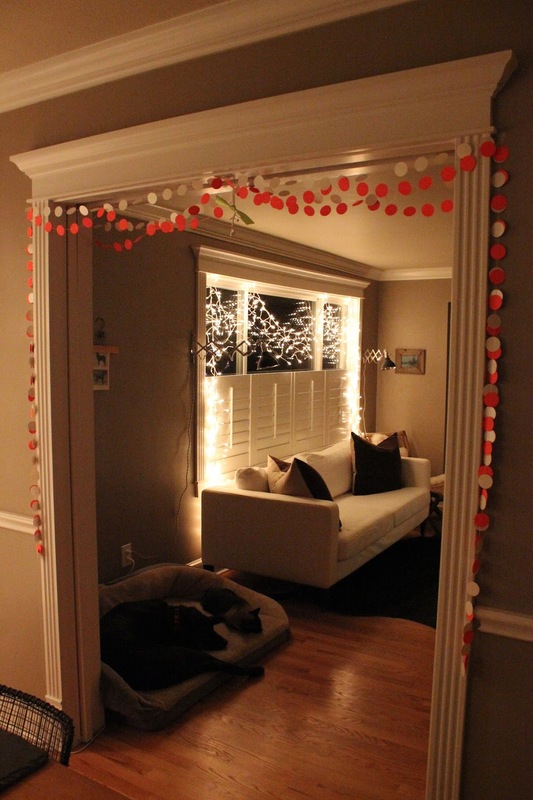 (Happy Day tbd as with Halloween and Thanksgiving). 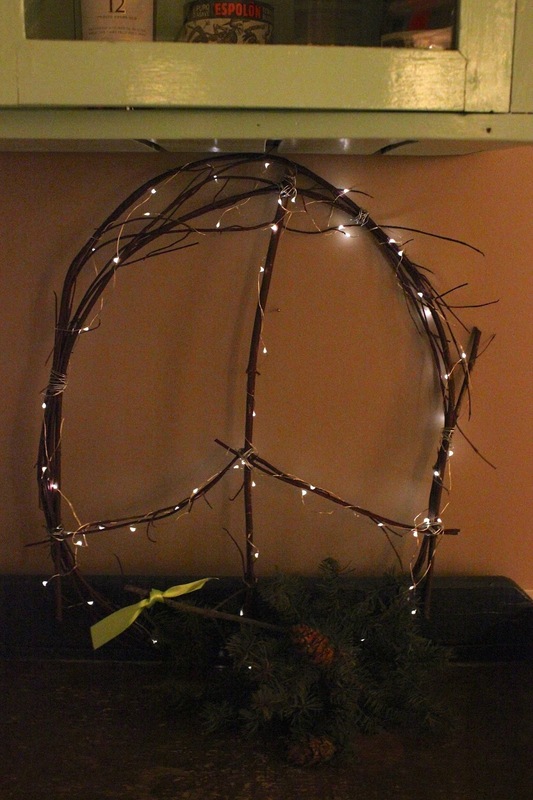 This year's decor was much the same as last year, just some slightly different configurations. 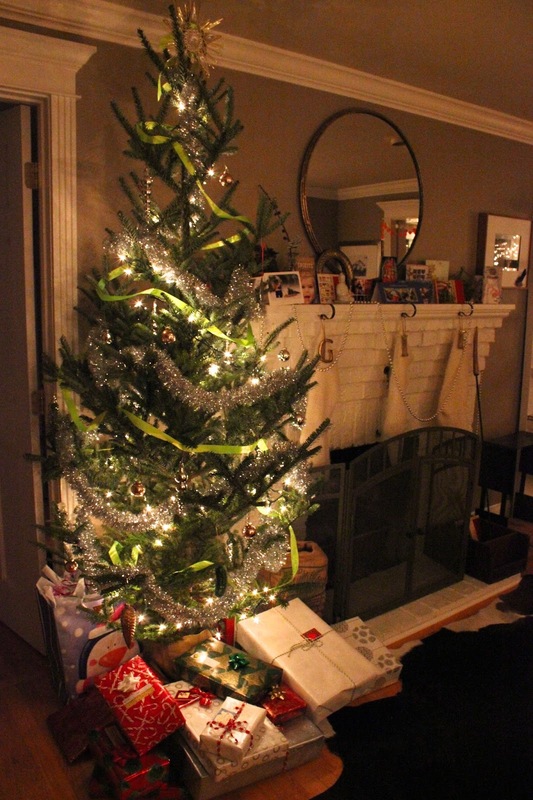 The stockings were new, (beautiful in their simplicity I thought, from Serena and Lily), and the brass initials to go with them (from West Elm). 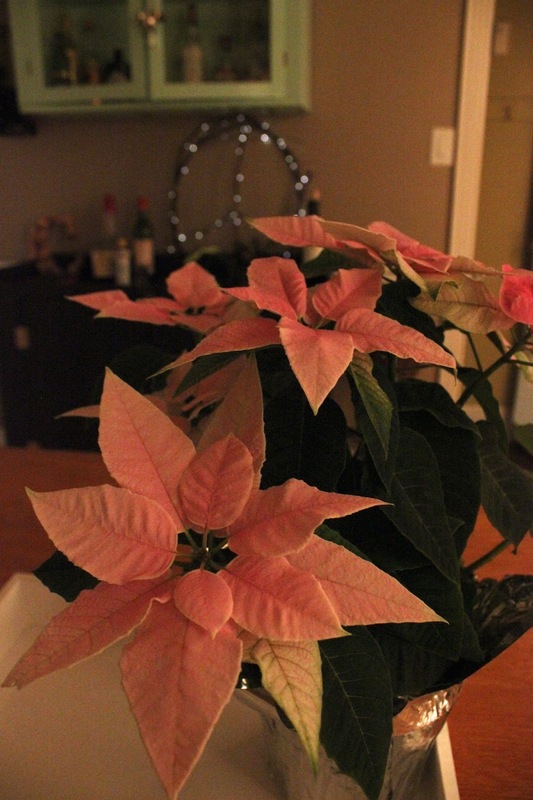 This gorgeous pink poinsettia came from the grocery. It seems like somehow they manage to keep them interesting year after year with a new color or type of variegation or the like. 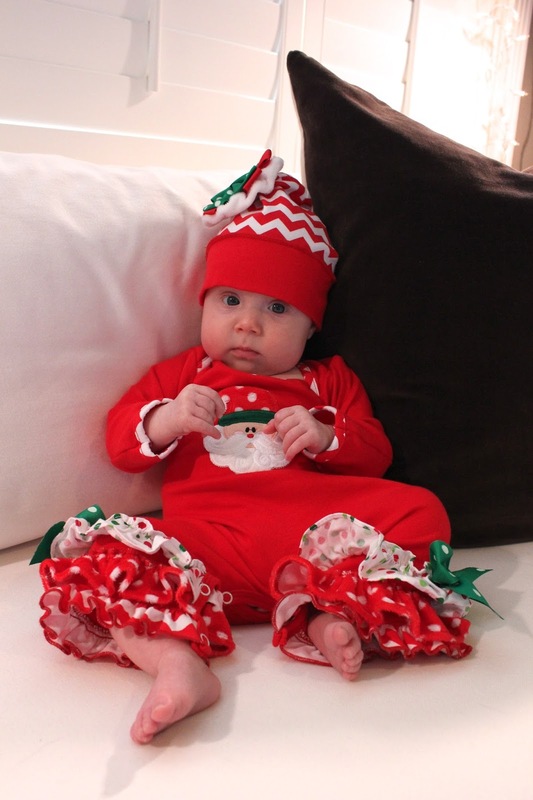 A friend got this outfit for Ida when she was born and I must say, it made her the perfect elf to her Daddy's Santa when it came time to unwrap presents. She managed to maintain this poker face the entire time we were opening our gifts, so not really sure what she made of her first Christmas morning. Other than I believe she was trying to figure out a way to get those ruffles into her mouth, her first choice as to what to do with just about everything these days. 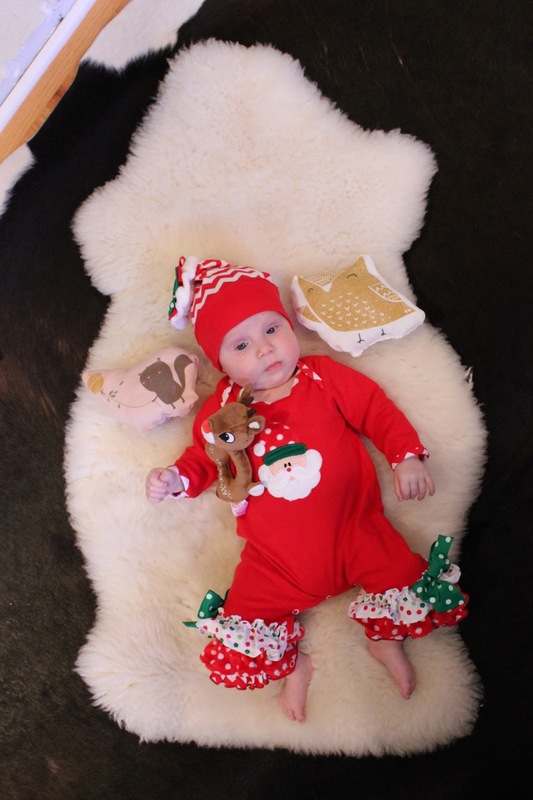 Her loot included the two little stuffies to either side of her noggin which one of Santa's elves finished making for her late on Christmas Eve out of a couple of her outgrown onesies that were just too cute to give up. After baby was in bed Mommy and Daddy sat down to a lovely Christmas dinner of prime rib, oyster dressing, mashed potatoes and roasted veggies washed down with a Washington cab. And for dessert a Bûche de Noël from Bakery Nouveau, here in West Seattle. Decadent to the max.